The Covert Quad Bike GPS Tracker is designed to protect your quad from theft. 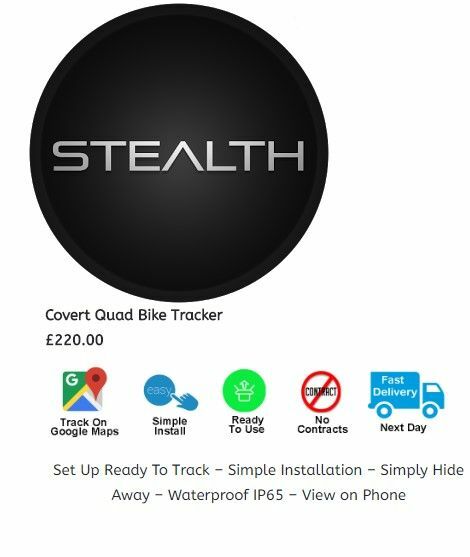 The quad tracking device is cleverly disguised as a quad bike component so any potential thief will not be alerted to the fact your quad has a tracking device. The tracker will not only protect your quad bike from a theft but also give you a full history of your journeys and speeds. Simple to set up Geo fence zones can set up around your home or farm so you get alerts as soon as your vehicle leaves your property.